Revolver’s defeat in the finals at the hands of Doublewide last year was astonishing to many. This years final though, didn’t end the same way. Revolver won the US Open, Triple Crown Tour and Club Championships. At times it seemed they could be stopped, but yet again, Revolver proved victorious. Here’s a talk with captains Cassidy Rasmussen, Ryo Kawaoka and Nick Schlag looking back on the season that was. 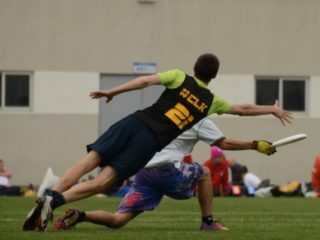 Skyd Magazine: After your loss to Doublewide in the 2012 final, what was Revovler’s approach to this season? Revolver Captains: Coming off of the 2012 season we spent a lot of time thinking about the implications of our loss to Doublewide in the program’s broader historical arc. The leadership generally agreed that the loss would play a pivotal role in the program’s future – either as a signal of the beginning of the program’s decline from the championship caliber teams of 2010 and 2011 or as a transient blemish on the team’s record that would trigger a renewed focus on a return to the top. It was one of our top priorities to make sure the effect of the loss was to rekindle the fire that had helped build those championship teams. At the same time, faced with the challenge of filling a large number of holes in the roster left by the retirements of key players, we knew that we would have to add a number of new players into the system. This challenge presented itself as an opportunity to refocus on the development of local young talent—a large contingent of Revolver’s core has always comprised players from college programs in the Bay Area—and introduce them to a system built on the core values of intensity, humility, and discipline. In the departure of many of the stars from the championship runs, we saw a chance to imprint those values on the identity of a team with an unavoidably new character. All of that said, going into the season, none of us knew what to expect in October. What we did know was that if we could successfully refocus the team on its founding core values throughout the year, we would have no regrets by the end of the season with the knowledge that the team had developed in the image of the founding vision. 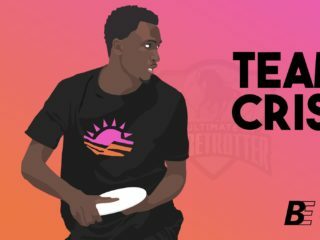 Skyd: Much has been said of the added time to ‘gel’ as a team with the professional leagues – specifically the MLU for Revolver – do you feel that experience helped Revovler this season? Captains: Revolver benefited from the MLU experience directly in two ways: first, it allowed us an extended opportunity to evaluate some of our tryout pool, which was important to us given the number of retirements we had after 2012; and second, it allowed us to approach the US Open with a little bit more polish than we might have otherwise had at that point in the season. Skyd: Revovler’s season started with the US Open down in Raleigh. How did you feel about starting the season playing international competition, but also the top four teams from the previous season? Captains: Playing against international competition is always fun but also usually presents an interesting and unique challenge because (1) we are generally unfamiliar with the teams and (2) their playing styles and strategies are often different from American teams. We embraced the opportunity to play against the top American teams early in the season. 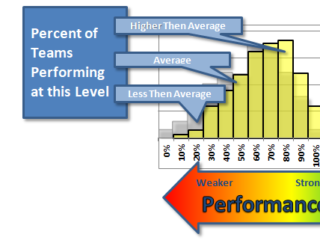 Generally, playing against the highest quality competition provides us with the best opportunity to improve as a team. In particular, this year, it also helped by giving many of our rookies experience playing at the highest level early on in the season; this gave us an opportunity to give them a lot of experience playing at a high level very quickly such that by the end of the season they were battle-tested and had the confidence to line up against big names from other teams. Skyd: Why did you choose to participate in the West Coast Cup, and how did you like the event? Captains: Our participation in the West Coast Cup was borne of the pre-season negotiations between USAU, the elite teams, and NexGen; one of the results of these discussions was that while team elite teams opted to participate in the USAU series, several interested teams (Revolver being one) continued to encourage Kevin Minderhout to host a NexGen sponsored tournament. 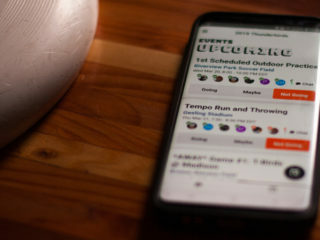 We were excited by both the innovative model—lower numbers of games against high quality opponents—and the chance to create a new visible platform for elite ultimate. From a player’s (and team’s) perspective, the event was professionally coordinated and well run. The tournament was an important bridge in the arc of our season—one that we anticipated we would need—between an early US Open and a Pro Flight Finale right before the series. As discussed in earlier answers, we place great value on every chance we get to play quality opponents and knew that we would get good competition from Rhino, Sockeye, and Bravo. The chance to play the Buzz Bullets was icing on the cake. Skyd: Seeing as how two of your regular season tournaments had International teams present, what do you think about playing those teams on American soil? Captains: It is great to see international teams traveling to the United States to seek out high quality competition. Ideally, this trend will increase the caliber of international competition, especially at Worlds tournaments. Skyd: Revolver’s regular season ended at the Pro Flight Finale, and soon after you were crowned regular season champs. Looking through the schedule, you have a lot of games against the same teams. Do you like that aspect of the new format? Anything else you liked or didn’t like about the Triple Crown Tour’s regular season? Captains: The sustained high level of competition that we faced throughout the season with our TCT schedule really helped us develop as a team. As a relatively young team (compared to previous years), the opportunity to play against the highest level throughout the season put us on a very steep learning curve and allowed us to groom a lot of our younger players for success at the highest level. We placed a great emphasis throughout the season, when playing these other elite teams, on balancing playing time in order to build experience across the roster. Skyd: With the success you showed during the regular season, how does the team keep its focus during Regionals? Or during the first rounds of pool play at the Championships? Captains: One of the things that helped the team maintain its focus throughout tournaments was the team’s bifurcated constituency of experience and youth: more than half of the 2013 roster had played on at least one championship team, while 10 players were playing with Revolver for their first time. The team’s experience was certainly important—consider how many teams have lost in semis or finals before eventually winning—but you could point to the intensity and desire of the younger core of the team this year as something that really helped us at Regionals. Nationals is its own beast entirely, and it has never been a challenge for Revolver to maintain focus from the very first point of the tournament. The result of no game is a foregone conclusion, no outcome predetermined, and our philosophy is that we give ourselves the best chance to win if we play our game from the tournament’s onset so that we can build throughout the weekend. Skyd: Having not seen much from Furious George this season, what kind of planning did you do before that prequarters matchup? Captains: We had very little information about this year’s team, but the players it includes have proven year after year to be a resilient bunch that never go down without a fight to the end (examples: Regionals 2011, Worlds 2012). With the new format exposing all teams to elimination immediately on Friday, we placed great emphasis on continuing to build upon our pool play success by playing our style and on not taking anything for granted. Skyd: Through the next three rounds, some people characterized the play you exhibited as very ‘Un-Revolver-Like’. Looking back – what do you think of your play during these rounds? Captains: Looking back on those games, I can only interpret “Un-Revolver-Like” to mean that our offense was not as polished and clean as it has been in some of the better games the team has played in over the past couple years. In retrospect, I actually see the stamp of Revolver on those games in several ways. 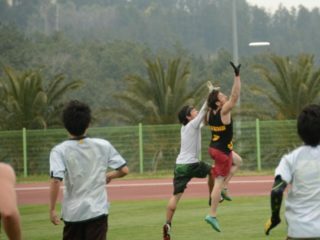 Semifinals of Nationals, 2010: The game against Doublewide began with a point with something like 11 turnovers, characterized by both teams’ sloppy play. The turnover-ridden point set the tone for a game in which the defense would continue to pressure DW mercilessly, but DW did threaten with a late game run. Semifinals of NW Regionals, 2011: Sockeye’s defense frustrated our offense for much of the game; after being down 14-12 (I think) our defense broke several times in a row to win on double game point. Semifinals of Worlds, 2012: We held a lead of several breaks for a good portion of the game, but several offensive lapses down the stretch helped ignite a Canadian comeback; after allowing a break to force double-game point, the offense rebounded to put in the crucial game-winning goal. These are the types of games that best characterize the program to me, and the games we played in the later rounds of Nationals echo these characteristics. Things in those later rounds did not go perfectly as planned, but the team’s ability to remain focused on our system allowed us to rebound from sloppy play. Skyd: Regardless you were still able to come out as champions yet again. How is this championship different from the rest? Captains: Each championship has a different feeling; to contrast them in words is a difficult task. One thing that made this one particularly rewarding, though, was that it provided some validation of one of the team’s philosophies—that a team built upon a group of players who each plays a role very well is the best model for a consistent and resilient championship-caliber team—as we were able to put together a championship run with a roster that was substantially different from those of the teams that won in 2010 and 2011. Skyd: What’s next for Revolver and its players? Captains: WUCC is the next target for the team, and we’ll begin preparation in the spring.